“It’s like living in the apartheid era. We don’t exist,” said Nonthunzi Nodliwa, 46. 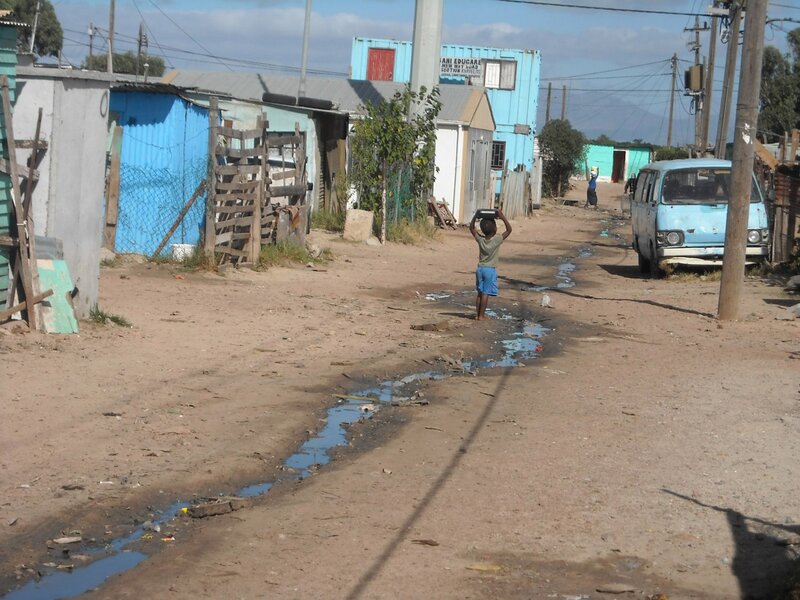 Nodliwe lives in Khayelitsha’s TR Section, where disillusionment with service delivery runs high. Last month a group of TR Section residents stormed an Independent Electoral Commission (IEC) registration station in Khayelitsha, damaging an IEC car and disrupting registration. Three men charged with public violence in connection with the incident were granted bail in the Khayelitsha Magistrate’s Court on February 10. Since then politicians and election officials say briefings have been held to address concerns over service delivery. In a city with 222 informal settlements, how political parties address dissatisfaction over service delivery in areas like TR Section is likely to be crucial to their fortunes in upcoming general elections, due for April 22. Nodliwa described life in TR Section, home to 1,852 shacks, according to 2006 statistics, as “terrifying and impossible”. An unemployed mother of four, she said in winter shacks were often flooded. In summer residents faced shack fires. She said many people were “living like dogs”, getting water was difficult, there was a shortage of toilets and many did not have electricity. Nodliwa said although she had electricity, there were no flush toilets. She said the government had failed her to a point where she did not understand what democracy was for when it came to people living in townships. Another resident, who did not want to be named, said they had no hope for change and would not vote. Others said they would vote, not because there would be change, but for the sake of voting. In research on citizenship, Ndodana Nleya, a researcher at the University of the Western Cape’s (UWC) School of Government, interviewed 300 people from Khayelitsha, 40 of whom were from TR Section, which is situated in Site B in Khayelitsha. His research ‘Citizenship and Social Movements in Khayelitsha’ was published in 2008/09. Nleya said communities had been forming street committees to tackle crime following a call by ANC president Jacob Zuma. But while community members were encouraged to interact with their ward councillors through the committees, “gate keepers” in the process often prevented this from happening, leading to frustration. He said many people had decided not to vote, because since 1994 things had not changed. However, he said this did not mean people had left the ruling ANC, just that “they did not like what the ANC was doing, so they would rather stay home”. Site B ANC ward councillor Jacky Solizwe said prior to the IEC registration station incident the community had been addressed about what would be done in the area on service delivery. He said the issue was being addressed by the provincial government and the City of Cape Town. Western Cape IEC spokesperson Courtney Sampson said the IEC was expecting “certain difficulties” in TR Section during the elections. However, police as well as the army would be in the area on voting day. Sampson said politicians had arranged meetings with community leaders, so as to calm residents before the elections. Meanwhile, City of Cape Town media manager Kylie Hatton said due to a high density of shacks, there was no space for the City to install additional services such as toilets and water standpipes. But Hatton said TR Section was a high priority of the City of Cape Town’s Informal Settlement Master Plan. The plan was released in 2007 and prioritises the city’s 222 informal settlements for service delivery.